13 Travis Scott Sued $20M By Three 6 Mafia For Allegedly Jacking "No Bystanders"
GLC also added West has always needed the approval of the white community to feel successful, and speculated that being married to Kim Kardashian and the circus that is her life might have contributed to his fragile mental state. “If I’m chillin’ in the crib and I got a father-in-law, but then my father-in-law becomes my mother-in law, it might cause me to go a little crazy,” he said in reference to Caitlyn Jenner. “Because every day, I’m like, ‘What up bro’ and now I gotta be like, ‘Yes ma’am. That right there … you might need to see a shrink for that. Over the past 12 months, West’s off-kilter behavior — a meeting with Donald Trump, wild rants during his concerts and a November 2016 hospitalization — has often garnered more attention than his music has. 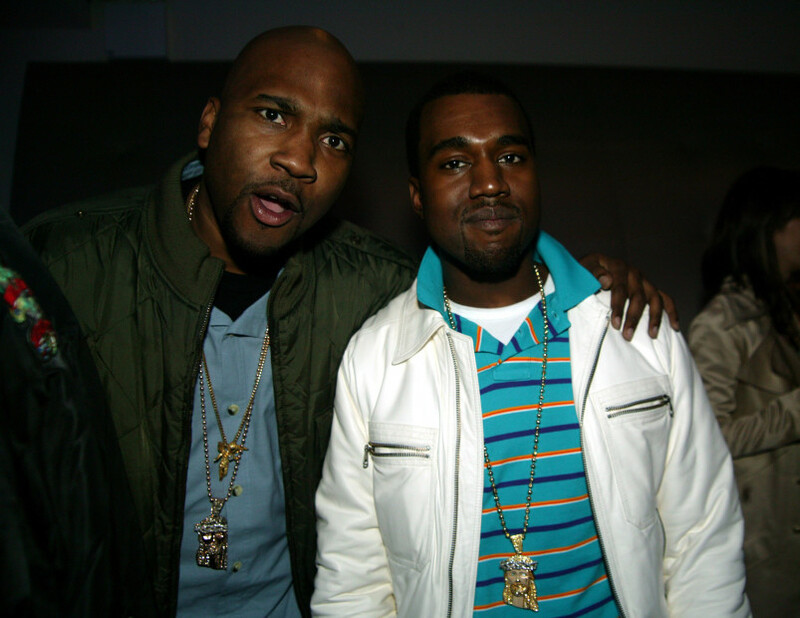 Prior to Ye’s apparent breakdown, GLC claimed he “knew the downfall was near.” He recalled an altercation West had with the paparazzi. After he hopped on the plane to head home, he admitted he shed a few tears after realizing the friend he once knew wasn’t the same person he just saw. #ism Money, power, fame is something we all want to obtain. The only thing is, when you get it… it comes with no instructions. In 07 we lost an excellent instructor in Mama West. You try to offer your friend consultation & guidance on how to deal with such a lost but as their life is moving so fast. It is often a difficult task. @chicagodonc & I did everything we could to try & keep the users, leeches & yes men out the circle. It gets to the point that they identify you as the problem & do all they can to keep you away, while offering no time for him to actually heal. I prayed that my buddy wouldn't get caught up in the rapture. Mama West asked us to watch over & protect her son. I love him & I sincerely apologize for letting you down. However he is on the road to recovery & we gladly receive the blessings! Thank you to all who have sent their blessings, the Ancestors & the Absolute God!#GetWellSoonKanye #PrayForYe ?????? “This ain’t the dude I grew up with,” he said. GLC offered his support to Kanye during his hospitalization and took to Instagram to pay tribute to his friend while apologizing to Ye’s late mother, Donda West, who passed away in 2007. Currently, West is reportedly holed up in Wyoming somewhere working on new music. Check out the post and listen to the interview above.